KazooCon is about the communications revolution, and this year we’re introducing the voice advances that enterprises have been waiting on. Resellers need to be champions for these enterprises, offering them the tools they’re looking for and consequently helping them generate revenue and develop smoother call processes. Kazoo 4.0, the latest iteration of our cloud communications platform, is the perfect tool to make productivity possible in those business environments. In addition to Kazoo 4.0’s unveiling, let’s break down some more details of what attendees can expect at the conference. As professionals in telecom, we’re doing important work, and we’re having a blast doing it. We’re going to open up KazooCon 2016 with an energizing review of how far we’ve come since last year and what we’re passionate about uncovering next. The telecom train doesn’t stop, people - are you on board? It is KazooCon, after all. We’ve been pushing the Kazoo platform to new levels of usability, price point competitiveness, and appeal for enterprise voice communications. We want you to be the first to know what’s coming next. Omar Javaid, CPO of Vonage, is a wizard when it comes to enterprise cloud communications. Omar will share his perspective on when and how business should be shifting to a unified communications structure and cease operating out of a PBX box, reframing the transition period for the audience and delivering tips to take back to customers. At the start of day two, we’ll review, in depth, where we are in progress in regards to new application development. We’ll also hand you the keys to test new applications before they’re released with our new “Beta” program and SandBox initiative. Beyond that, we’ll take a look at the Roadmap - a view of the industry as a whole, analysis of our progress in 2016, and setting a focal point for 2017. This is a big one. Kazoo 4.0 is more than just a features update, it’s a revolution in business voice. In Kazoo 4.0, we introduce additional management capabilities that can help administrators gain more valuable insight into call flow, administrative functionality, and call quality - the special blend of ingredients that make for one productive team of system administrators. Kazoo 4.0’s underlying technologies will also serve as a foundation for innovation, where IT teams can develop bleeding edge applications faster than ever. For engineers, Kazoo 4.0 hands you the new building blocks for communication. Taking work on the go is just about mandatory in the modern business, but leaving it up to employees to “wing it” is an enormous risk. We’re going to discuss mobile’s role in the present and future of unified communications and how to prepare for its incorporation. These are only the open events you can expect from KazooCon 2016. The conference will have extended learning courses available for business users and resellers, as well as for the engineers who work behind the scenes to customize Kazoo and make it their own. 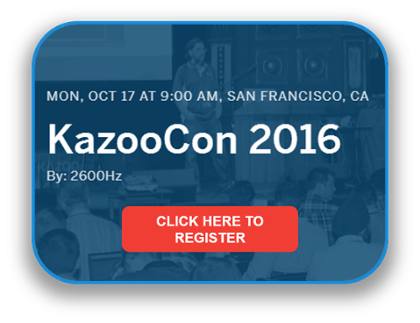 You can find all of the topics and speakers on our KazooCon 2016 event website. Have you already heard enough? 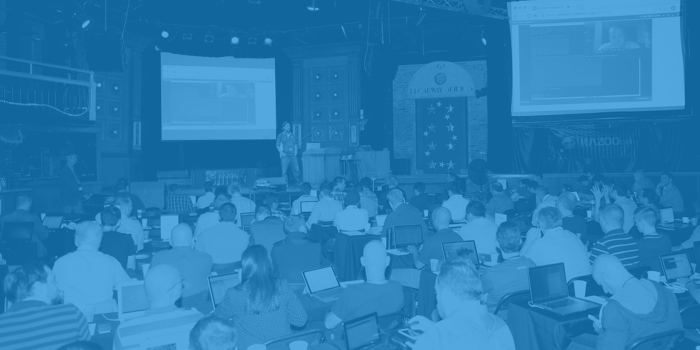 Click here to jump straight to registration and reserve your spot at this year’s pioneering event. Newer Post 25 Days to KazooCon 2016! Older Post 40 Days to KazooCon 2016!